We were the first company to ever create and produce a Log Baby Crib, now there are a few other folks that are attempting it. But, there are still NO other craftsmen that are building a CONVERTIBLE Log Baby Crib, which converts from Crib to Toddler bed to Full-size bed. Literally, three beds for the price of one! Your child will not need another bed until he gets married or goes off to college! Be one of the only parents in the country who has a gorgeous Log Crib from Montana Custom Log Furniture! Check it out at http://www.mtlogfurniture.net/nursery.html. 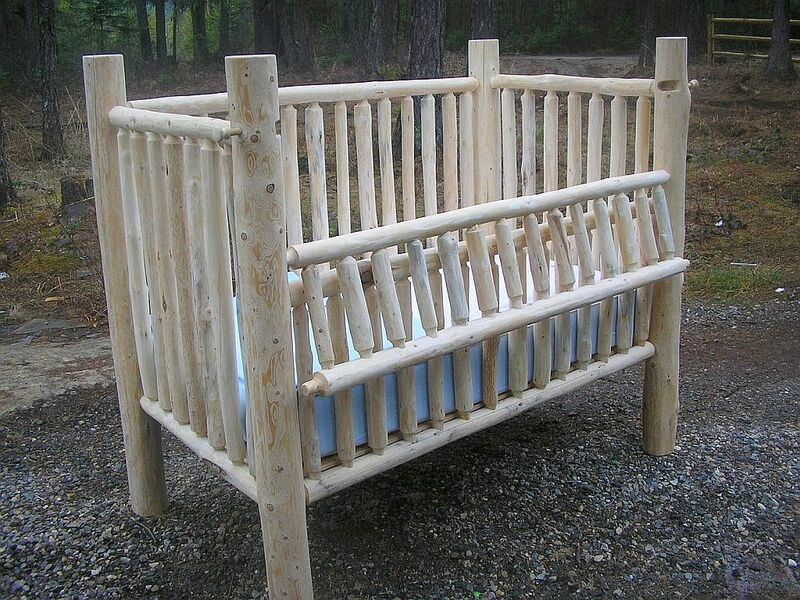 Be one of the first to get your new baby a log crib just like the American Pioneers may have used!
. We also build matching Changing Tables, High Chairs, Cradles, Bassinets, Hope Chests, toy boxes, and rocking horses!